My mother swears this recipe came to the US with my grandmother in the early 1920s. It's a delicious variation on a well known and popular theme. Serve this soup with thick-cut Polish noodles known as kluski. Combine chicken, parsnip, onion and bay leaf. Cover with water and add salt and pepper to taste. 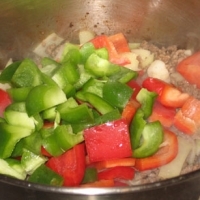 Bring to a boil and simmer over low heat for 45 minutes. Remove chicken and parsnip. Add carrots and simmer for 15 minutes. 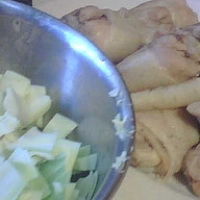 Remove chicken from bone and cut into bite-sized pieces. Add cabbage and simmer 15 minutes more. Return chicken pieces to soup. Like bostonmargy's recipes? Never miss an upload!